Hema...here today sharing a small art journal piece with you all. Its been a month that I havent shared anything much as I was bit stuck at my domestic front. Now all set and I'm back with you all guys sharing some lovely stuff hereon. I have used the digital papers from our store and have created this page. 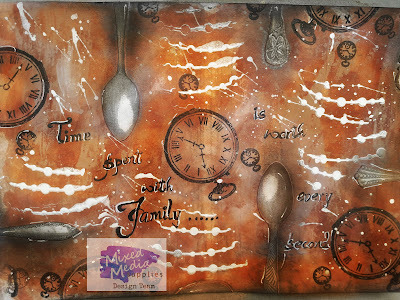 For spoons I have used the printed paper from Canvas Crop Brands and fussy cut them and adhered it. I have first given a wash with clear gesso and have handpainted with acrylic brown and mustard color, later added gesso with 13Arts stencil which is my new collection and also my DT kit. Added few splatters of white, after adhering the spoons I have highlighted with graphite pencil and rubbed with my finger around. 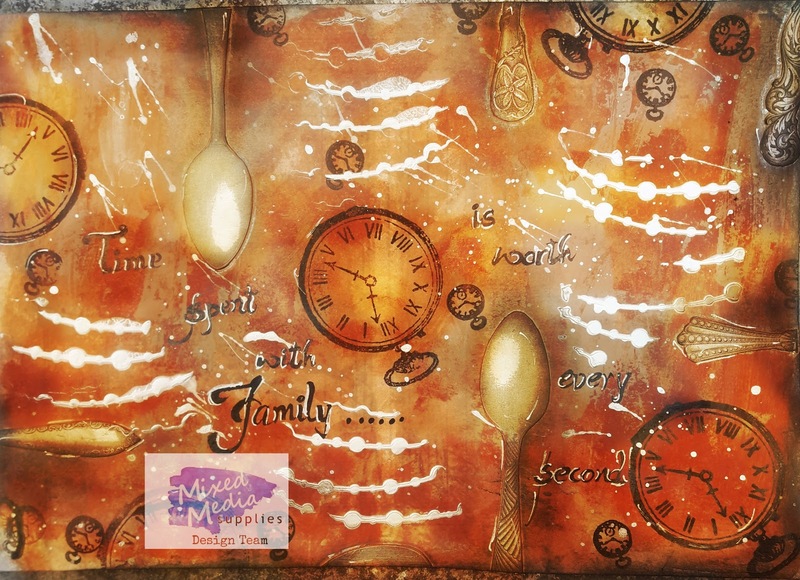 Stamped few clocks randomly and worte a handwritten quote for finishing. 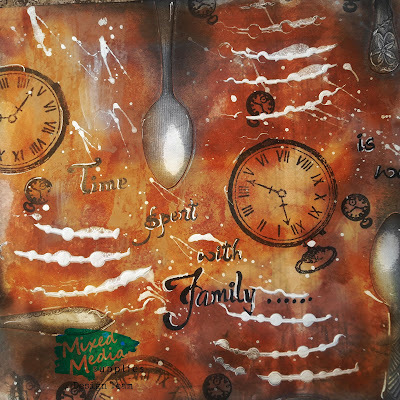 The main purpose of this journal was that as we all know the whole family gets together is only during breakfast of dinner time as most of our lives are so mechanical and we hardly get time to stay toether and join as family. So thats the time we all are united and get together.....so which is all worth to cherish. Hence I made this as a journal page. Hope you all get to spend quality time together and cherish that moments always.